The world has drastically changed, we do not notice how “artificial intelligence” is becoming a part of our daily life. Smartphones, navigation, voice recognition, these are just a few examples. The way we conduct business and communicate with customers has also changed. The era of “your call is important for us, please hold the line” has finished. Slowly but confidently chatbots are removing old-fashioned customer support services and minimizing the need for human management. Chatbots have become one of the leading IT trends and a must-have for every business. A chatbot is an intelligent virtual assistant that can communicate with customers in a human-like manner answering questions and sharing any specific information regarding the product or service. Due to a heavy customer service demand, chatbots are widely used by almost every company in any industry. They help to come closer to the customer and provide a quality service. 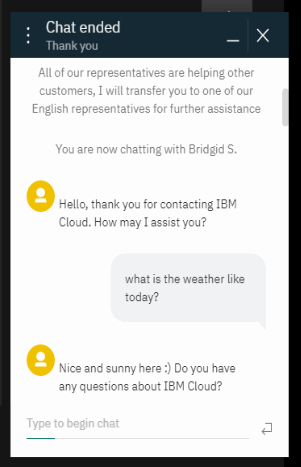 To understand how the chatbot works, just try to chat with any, for instance, IBM Cloud Routing bot. This is one of the examples of a smart chatbot. Test it and experience a natural conversation with the bot first hand. How does it feel like? Have some doubts? Let’s have a look at the main reasons why it’s high time to develop a chatbot for your business. Provides Constant Access To Info. A huge percentage of your potential customers leave the website because they have certain questions, and cannot find the needed answers. In this case, a chatbot would be helpful. It is like a virtual assistant or a huge encyclopedia that provides your visitor and future customer with all the information from A to Z regarding your product or service quickly and efficiently. Automation of Repetitive Tasks. People very often ask absolutely the same questions: what is the location? Is delivery possible? Can I get a discount? What is the monthly price? And it can be quite annoying answering, again and again, the same questions, however, the chatbot can do it for you fast and effortlessly. As a result, the workload will be reduced and your team will be able to concentrate on much more complicated and urgent tasks. Saves Time of Your Clients. Some clients like to take their time and carefully scan the website before they make a decision, but many people nowadays are too busy and have no time for scrolling all the features, FAQ, policies. For those customers who need answers immediately, the chatbot is the best option, and for you, it is an easy way to increase conversion. Builds Trust. A well-built chatbot is your mini-expert, customer support & sales agent. This boy does not only communicate with you customer answering the basic questions but clears up doubts, builds a rapport and motivates them to choose exactly your product. Cost-Saving Alternative to Customer Support Team. Do you know what it’s like to have a customer support team? It definitely has its benefits, but drawbacks as well. A certain part of your budget will go on salaries, equipment etc. 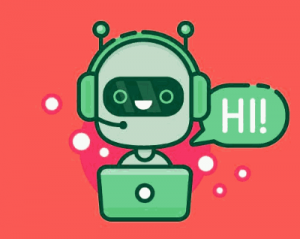 If you would like to reduce expenses, only one well-developed chatbot may substitute the whole customer support team and even produce better results. Improves response rate and conversion. The chatbot does not miss any query, any question, responding to thousands of people all over the world at the same time. Implementation of the chatbot can help streamline sales and significantly increase conversion. There are 2 main types of chatbots: those that work on specific rules and those that use machine learning. A rule-based or sequential chatbot is far from what can be called “artificial intelligence”. This is a very limited model of a chatbot. It can follow only the specific strict rules defined by the developer. In case the user asks something different, not connected with the product or service, the chatbot won’t understand. If you ask “how are you?’, the rule-based chatbot won’t recognize the command and will not respond. Communicating with such a chatbot does not seem like a real conversation, but more like a question and answer session, where no violation of the script is accepted. “-“ Writing a script with rules and commands for such a bot is a time-consuming process and you cannot really write a scenario for every situation, so think twice before developing a rule-based chatbot. “+” Despite all the facts, the rule-based chatbots can be also useful, for instance, if you want to automate tasks like filing a grievance or capturing leads. An intelligent chatbot is able to understand and learn. That is why it is also called as self-learn able chatbot. What is the secret of the intelligent chatbot? 1# Machine Learning is a branch of AI focused on the development of programs that can learn through experiences and are able to adapt with the minimum of human intervention. That is why the chatbot is called “intelligent”. Unlike its “dumb” rule-based brother, it does not require from developer any list of answers but learns from every query and conversation constantly optimizing its performance. 2# Natural Language processing is a technology that allows analysis and generation of natural language. The examples of NLP are closer than you think, for instance, the Microsoft Word spell check, data mining search engines, spam filters, translation systems or voice recognition applications like Siri. If you want to create the intelligent chatbot, NLP is a must. Unlike some simple chatbots, the NLP based chatbot can understand and respond to the user in a manner similar to a human being. That is the whole secret. The combination of Machine Learning and NLP algorithms is what creates an intelligent chatbot and guarantees positive customer experience. Here is an example of a chatbot using Machine Learning and NLP algorithms. This is MedWhat. It answers health questions and helps make diagnoses faster. You may encounter 2 variations of the intelligent chatbot. There are retrieval based and generative models of a smart chatbot. Let’s have a closer look at their advantages and disadvantages. This chatbot is a warehouse of predefined responses. For any question, the bot is able to find the relevant and appropriate answer, and provide the user with the maximum of required information. “-“ Although it can handle complex queries quite easy and fast, it cannot generate the new answers. “+” As far as the answers are pre-determined, the chatbot cannot do a slight grammar mistake. From the very name, you may guess the main difference of this chatbot. On the contrary to its ‘bot-brothers’, it can generate absolutely new answers on the basis of the content of the query. A generative chatbot is an advanced model and can be considered as the most intelligent and creative one. “-“ As far as generative chatbot creates new answers, there is a possibility of not just a grammar mistake, but a wrong decision which can lead to the misunderstanding with the customer. “+” It does not rely on a fixed set of answers and is able to adapt and respond to unexpected questions from customers. It makes an impression as if you chat with the real person. Building a chatbot is not difficult nowadays. There are countless platforms for building a chatbot. For example, there are some free services like Botkit or Wit.ai, but they require some technical knowledge and efforts. In case you know absolutely nothing about chatbots, do not worry. There is a wide range of non-coding platforms like Chatfuel, Botsify, Bottr or Flow XO which is famous for a seamless integration with more than 100 applications. Most of the non-coding platforms are freemiums and cannot provide fully free service, however, they significantly simplify the whole process of the chatbot development. If you have doubts on what chatbot to create and don’t feel like being a chatbot developer, there is always plan b. You can contact Tavo Tech team. We are a team of professionals that built lots of chatbots, simple and advanced machine learning based ones, for a variety of different purposes and target audiences. If you do not know what to start with, we are always ready to help. First of all, we will carefully analyze your product in order to find out the most common questions that pop up in the head of your potential customer. Secondly, we will help choose the right type of chatbot and platform for development. Finally, Tavo Tech team will create the chatbot according to your goals and expectations. Also, as soon as the chatbot is created, we do not leave you, but help maintain and optimize your chatbot. We do not create just a chatbot, that interacts with your clients. Instead, we create a powerful tool that increases leads, reduces churn and provides the best customer experience. This entry was posted in Development and tagged Blog, Business Automation, Chatbot, Software development, Startups. Bookmark the permalink.